In the midst of all this activity, my immediate writing priority is to use my critique partner feedback and contest scoresheets to edit the first 50 pages of Alexis’s story and re-write the synopsis in time for entry to the RWA Golden Heart contest. I’m pretty sure I’ll get this done, but I’m worried about what happens thereafter. The danger is that I’ll breathe a sigh of relief and award myself a two-week (or longer) holiday. Then I’ll come back to a cold, soggy, lumpen manuscript in January and it will take me another two weeks or more to regain my momentum. If you’re facing a similar prospect, please join me in brainstorming a few quick tricks to keep your story alive amid the holiday madness. I’m thinking there are two possible ways to approach this: set aside a sliver of time and defend it against all intrusions, or incorporate your WIP into your December routine. Option One – ring-fence a few moments every day for a Story Shot. Pick the same time every day – as soon as you wake up, or just after you cleaned your teeth, or right before you go to bed, whatever works best. Schedule it on your phone, or wherever you set your reminders. Tell your nearest and dearest (or not!) – whichever is most likely to get the right result. Ahead of time, set up a list of micro challenges that are do-able in the time you set. If you only have five minutes, choose five-minute jobs. Keep a record of what you did each day. Write a few new words. 50, or 100, or a paragraph. Follow Michaeline’s suggestion from yesterday, and write a haiku or short poem about some aspect of your story. I tried it and managed two in fifteen minutes. Helpful, and good fun, too. Tackle a challenge from your list. One of mine might be to flesh out a minor character – Drake or Farris (Kierce’s men), Prince Darryl’s younger brother, Father Tyce (Alexis’s mentor). Another would be to find a more distinctive word for blending – Alexis’s chameleon-like knack of becoming part of her surroundings. 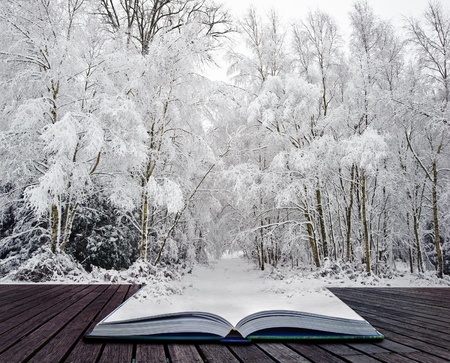 Option Two – sneak a little story discovery into your holiday schedule. If you’re out in a restaurant, decide what your hero/heroine/villain (HHV) would order from the menu. If you need a little distraction during a friends or family celebration, ask yourself how your HHV would describe Uncle Alfred or Aunt Lily. Ask for family reminiscences that might help with world-building or backstory. Figure out what expertise your friends and family have that you can cherry-pick for research purposes. At family parties past I have shamelessly quizzed my in-laws about matters as diverse as alternative energy, fishing, and arctic survival. What do you think? Is it just me, or do you think this would be worth a try? Any suggestions to add to my lists above? This entry was posted in Basic writing skills, Priorities, Resources, Story Telling, Technical Tips and tagged don't let your story go cold, eight ladies writing, Jilly Wood, Romance Writers of America, romance writing, RWA, RWA Golden Heart Award, writing momentum, writing over the holidays, writing tips, writing tricks. Bookmark the permalink. I often get very seasonal in my stories. The time of year, the holidays and the weather all seem to have tangential or direct effects on my characters and the plot. So, it’s been a little difficult for me to plunge into a summer story when there’s snow on the ground, and a halo around the moon. On the one hand, it should be a great vacation from Real Life, but on the other hand . . . I’m constantly reminded that it’s not really summer. The writing sprints have helped keep my characters alive and developing in the winter season that will happen after current WIP and next WIP, and it’s been a lot of fun! I think any of those story discovery ideas could do the trick with the right story. We really do have to be open to the ideas in order for them to enter and bounce into each other. This month will be a great time to meet new people and old acquaintances with new ideas, and also to experience things that we normally wouldn’t get a chance to enjoy. Work/story/life balance is extremely important. Spending time with your mother is going to be a top priority this month, because even if she doesn’t realize it’s Christmas, you do. But story can help make things a little easier, all the way around. Hang in there! Thanks for the link! When I return to Asmo and Keeffe (hoping that’s in January) it will be helpful in setting the mood to return to the 360 degree mural Keeffe is creating. So that’s the thing I’d add to your list–be on the lookout for articles/songs/stories/images that would resonate with your POV characters and experience them through that POV character’s consciousness. I’m excited to hear that you’ll be returning to Asmo and Keeffe next year – can’t wait to see how their story develops. When I travel to visit friends and relatives over the holidays, I find it quite difficult to work. Tables are full of wrapping paper and ribbon or chopped nuts and baking sheets. The music’s on. Too many people are in the house. The point is to see them, so they book up your time. But you’re right that if you do nothing on the WIP, you lose momentum, and I have little enough momentum as it is. I plan to take my little netbook (I’ll be gone for 10 days) and do what I can. But—as to your list? I can’t add anything, but I would take something off, and that’s “Set a timer.” I’m going to work until somebody interrupts me. That’ll probably be only five minutes anyway!